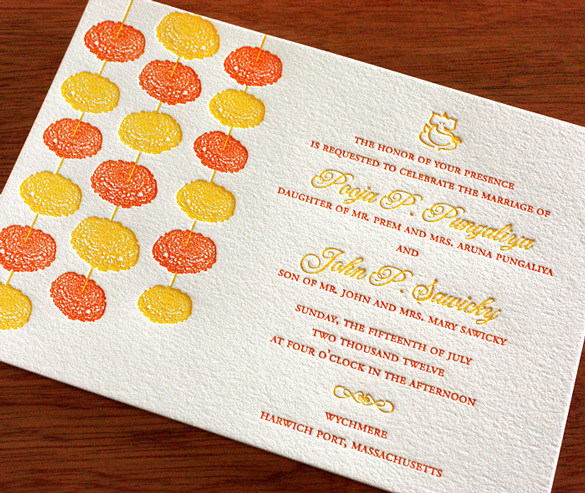 The first official step one does for announcing a wedding is through wedding invitation. 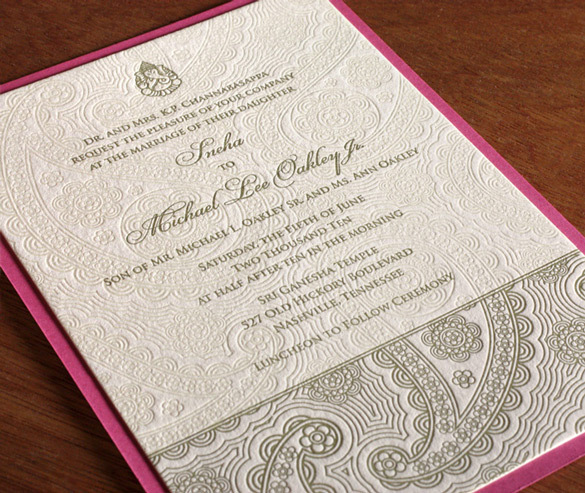 In india, wedding invitations are although more important and reflects the theme, personality of the family or couple. Some love boxed invitations, some keep it simple, and some combine it with return gift as well. 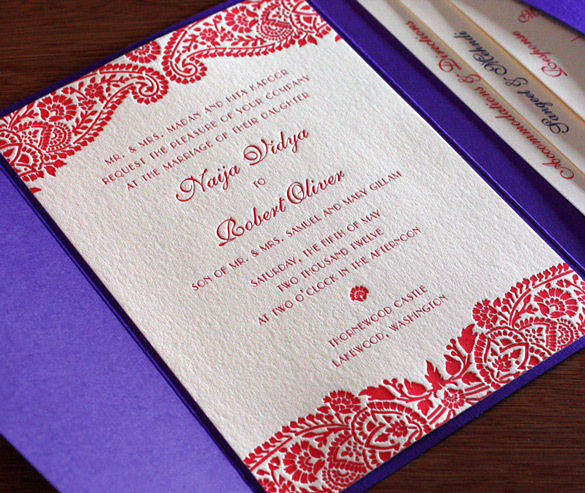 Whatever is the option, we Indians love to show and it all starts with wedding invitations. 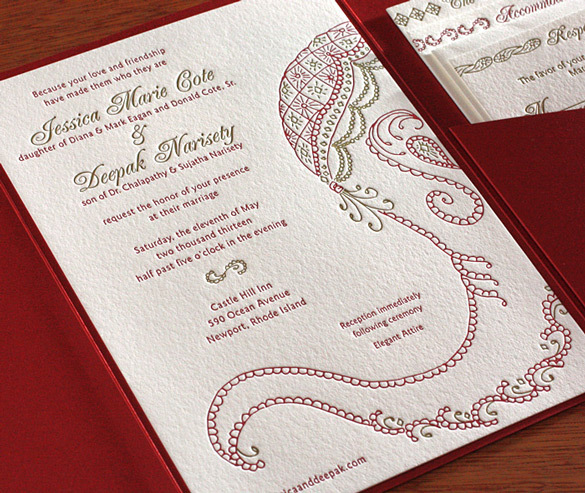 While we love Indian Wedding Invitations, we thought of adding some twist to them and have jotted down a few contemporary indian wedding invitations. These are modern, elegant, different and yet unique. 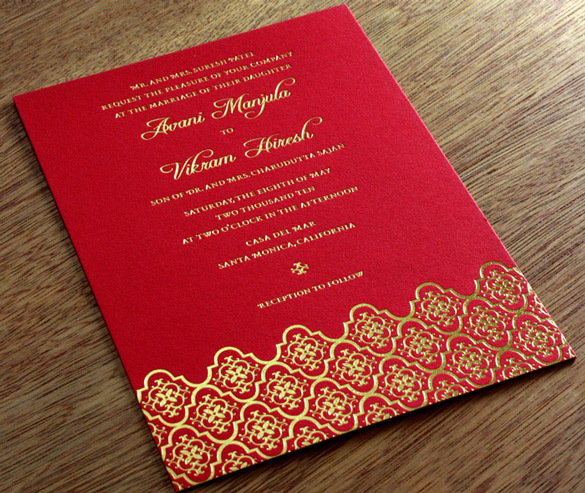 My favourite style of printing is letterpress and I would start this with Invitations by Ajalon, it has so beautiful and simple letterptess invitation cards which leave you in awe of them. With Paisley motifs, peacocks, florals; they are elegant and affordable both and yes simple of course. They have launched digital printing as well. If you love paper, textures; you are at the right place. Leave your comments as to which one is your favorite one or head onto Invitations by Ajalon for there Pin and Win Contest. Lovely article and wonderful wedding invitations. Thanks Riya, would love to see more invitations dropping at my place in such subtle style and yet so Indian.